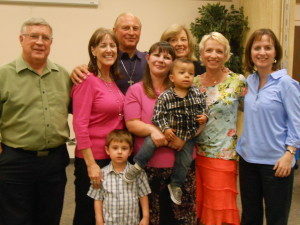 Pictured above to the left is Crystal with her sponsoring church team from La Casa de Cristo. Pictured above is B2H Graduates Club! An elite group of women who have welcomed Crystal into their club! My name is Crystal Thomas. I am a mother of three, a recovering addict, an ex-offender and a graduate of The Bridge to Hope. At age 19 I experienced homelessness for the first of many times. I knew I was serious about changing my life the day I was released from jail. I had nowhere to go; CPS had custody of my child and was 7 months pregnant. I had no one. The only thing I had was the clothes on my back, 4 months of sobriety and hope. My hope was that there was a better way to live. I didn’t know where to start. So I started with my probation officer. I was placed in the hands of NCADD. I was able to enter their halfway house for pregnant women. I gave birth to my third son and he was immediately removed and placed into a foster home by CPS. I applied for housing at The Bridge to Hope. I needed a place to live. But more than that, I needed a home where CPS would be willing to return my children. At first I was reluctant to enter The Bridge to Hope because of my uncertainty of religion because of my past experiences with God. I grew up in a home with a fearful and shame based and demanding God. And that’s all I knew. But I allowed myself to be open and gave it a chance. I entered The Bridge to Hope July 2012. From the start I was shown love and acceptance. The Bridge to Hope helped in getting my younger children returned to me by providing a home for all of us. I also have an older son, Damien. The Bridge to Hope supported me by allowing Damien to come over and have overnight visits, which was great because I was able to continue being part of his life and rebuilding a relationship with him that was strained because of my past substance use and reckless behavior. Plus, Damien had an opportunity to grow in his relationship with his brothers. I was given a chance to work on my recovery and grew immensely. 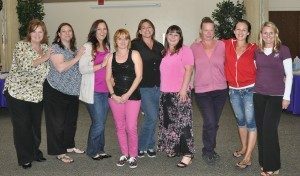 I was afforded the opportunity to participate in a training course which I received certification as a Peer Support Specialist, which opened doors for employment through sharing my life experience with others. What stands out to me the most is what the many people from the B2H did to support me. I had been in The Bridge to Hope for four months when an old charge resurfaced. I again was faced with consequences of my past behavior. I was facing one year of prison, and knew I would lose my children. The Bridge to Hope went with me to all my court hearings and gave me courage to show the courts what I had accomplished. In the end, I was sentenced to four months’ Work Furlough in Tent City allowing me to maintain my employment and have visits with my children. I imagined this sentence meant I would be released from The Bridge to Hope, essentially becoming homeless once again. However, because The Bridge to Hope operates with compassion, my home was saved for me. This may seem trivial, but honestly one of my biggest fears of going back to jail was eating jail food…sober. It brought me back to a place of hopelessness and I didn’t know if I could survive it emotionally. My church team from La Casa de Cristo Lutheran Church, Sallie, Amy Sue, as well as mentors from the other church teams provided me lunch each work day. It wasn’t just lunch they brought though, it was support and encouragement that kept me motivated to keep pushing through the tough time and the hope that eventually this would pass. During my journey through B2H I have achieved countless successes. I earned back the privilege of being a mother to my boys and my CPS case was closed. This is a miracle in itself because Brandon was taken from me at birth and I was facing severance of JJ. I have made financial amends. I was able to save a substantial amount of money to pay off past debts like unpaid phone bills, evictions, and fines. My greatest achievement was moving into my own home after graduating and I am able to call it home.